Just take a look at the shelves at your local supermarket. They are stacked high with all sorts of soups, broths, purées, consommés, tinned, packets, dried, powdered, cup-a-soup etc, etc – we Brits just love the stuff. Be it thick or thin, lumpy or velvety (velouté), during the winter months in particular, we indulge ourselves in flasks, cups and bowls of tasty Heinz, Campbell’s, Knorr or whatever brand takes your fancy. 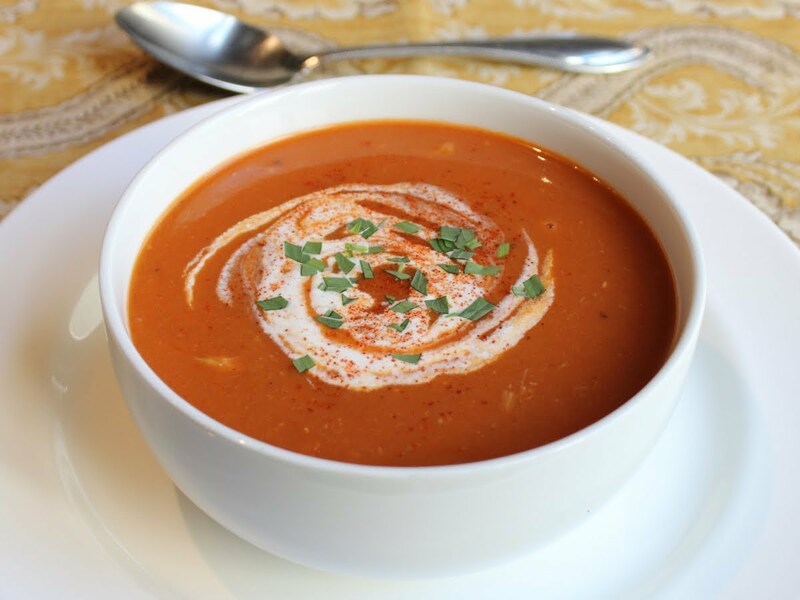 However, come the hotter summer months, we tend to avoid soups, unless they are of the chilled variety i.e. gaspacho, or something really indulgent such as a BISQUE. Be it Lobster, Prawn or Crab, most folk would not dream of trying to make such a luxurious dish at home. Well there’s some GOOD NEWS folks, it really is very easy to make and the end product is something that will really impress your dinner guests. 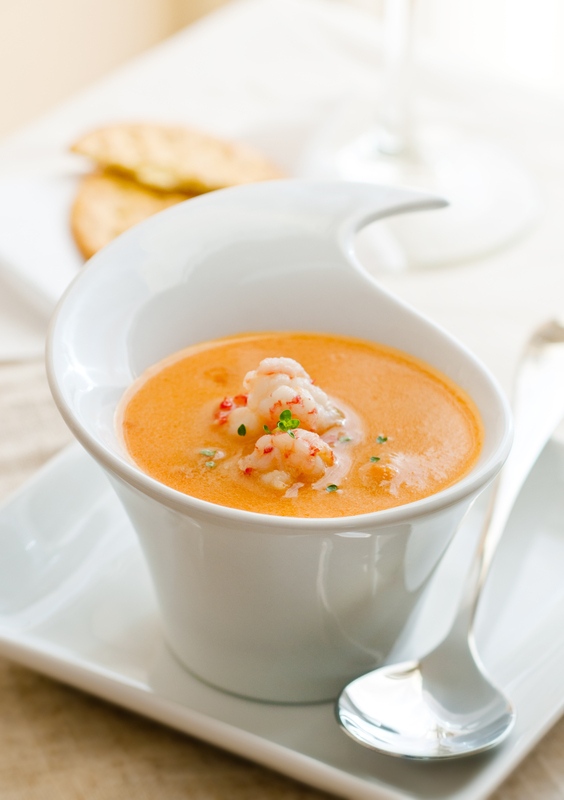 If you don’t want to serve a bowl of bisque, then serve it as a little amuse bouche/amuse gueule to tantalise the taste buds! 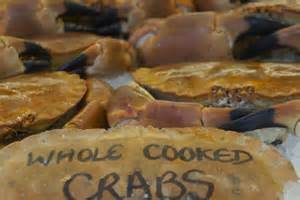 Living on the Isle of Wight, we are blessed to be able to get our hands on some amazing seafood, both crabs and lobsters. In my cookery school, I always used Ventnor Brown Crab when doing cookery demonstrations. 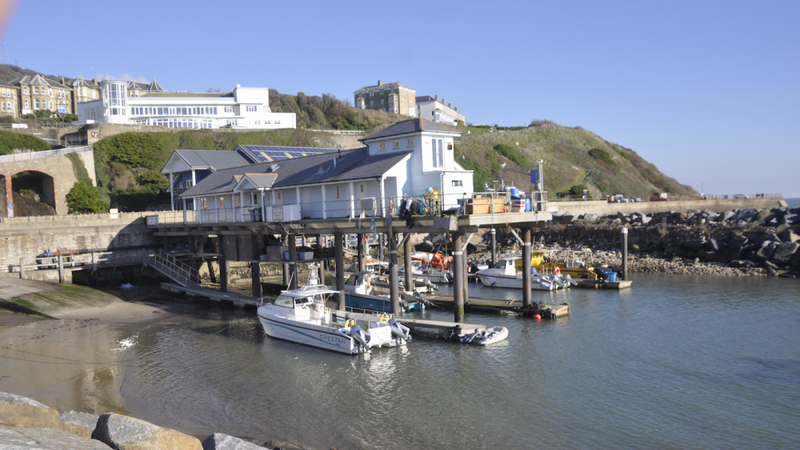 We are lucky to live 10 minutes away from Ventnor, so accessing this IOW speciality comes easy. Place the prepared onion, fennel and carrot into your mixing bowl and chop 5 seconds/speed 5. Scrape down the sides with a silicone spatula. Add the olive oil and sweat for 10 min/110oC/speed 1 until tender. Add the garlic and cook for 1 minute, then add the tomato purée and cook for one minute more. Retain 2 dessert spoons of white crab meat, covered with cling film, in your fridge. Add the remaining brown and white crab meat, saffron, brandy and a little white pepper and cook for 5 min/100oC/speed 1 reducing the brandy until its almost all gone. Add the fish stock, bay leaves and thyme leaves and with the MC in place, cook for 5 min/100oC/speed 1 until the vegetables are soft. Remove the bay leaves. Blend for 2 min/speed 5-10, increasing speed gradually. Add the cream and cook for a further 5 min/100oC/speed 1. The bisque should be velvety in consistency and thick enough to coat the back of a spoon. Add a few drops of lemon juice, taste and adjust seasoning to taste. Add a little more lemon juice if required. Serve hot, sprinkle with chopped fresh chives and serve the croutons separately. Place a heavy based frying pan over a high heat. Add the rapeseed oil and butter. Allow the butter to melt, bubble and just as the bubbles start to subside, add the diced cubes of bread. Allow to cook for a few seconds, before tossing regularly until all sides are golden brown. Turn out onto some kitchen paper. Toss in some lemon zest and chopped chives and place into a bowl ready to serve. To serve, drizzle a teaspoon of oil in circular motion over each bowl of bisque, add a gentle twist of black pepper, spoon a mound of the reserved white crabmeat into the centre of each bowl, drizzle with a few drops of olive oil and decorate with a few of the reserved fennel fronds. To enrich the soup, add a few knobs of butter at the same time as the lemon juice. Like most soups, this really does freeze very well. 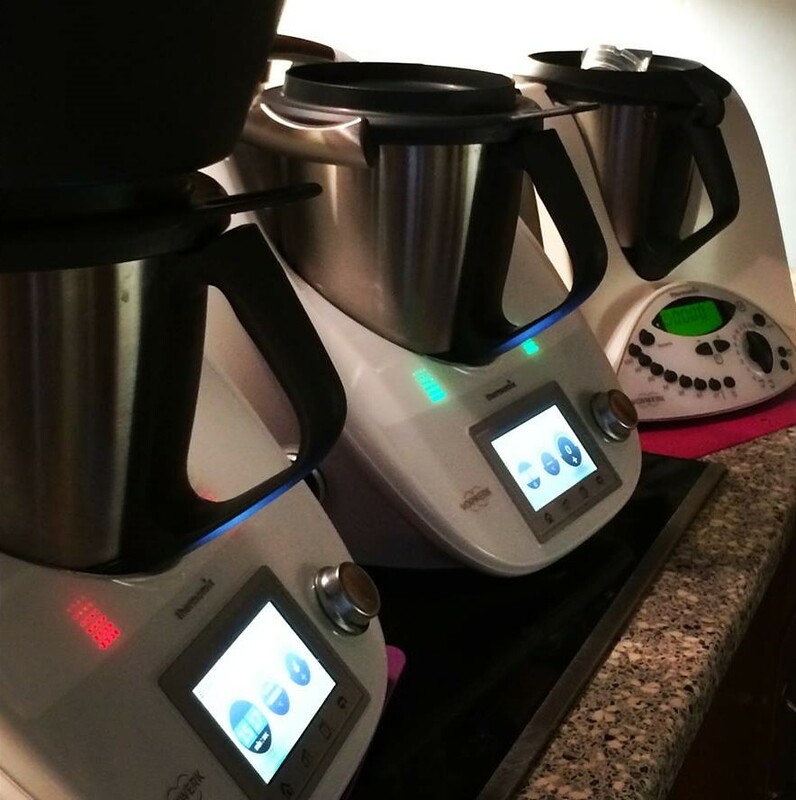 To re-use, allow to de-frost overnight in your fridge and then gently reheat to 100oC +. 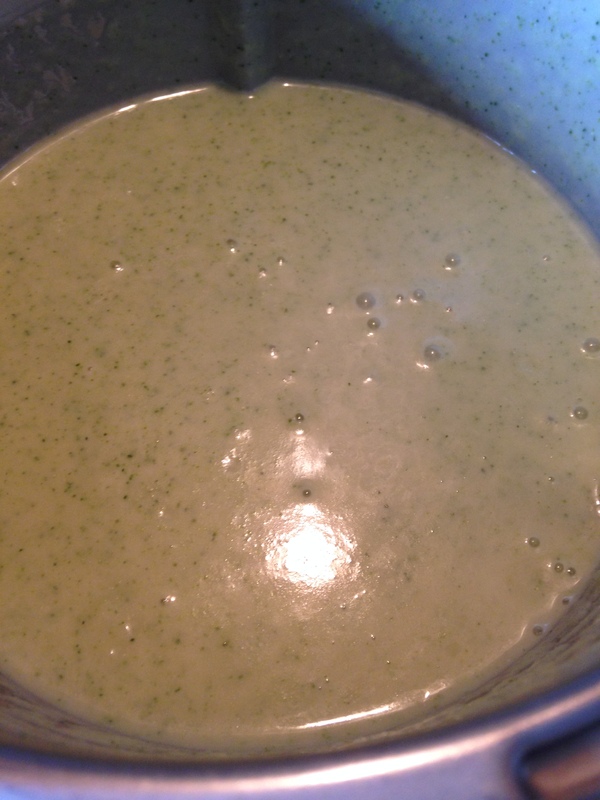 Best Broccoli & Stilton Soup – EVER! Now that we have got Christmas and New Year’s Eve out of the way and it looks like Winter is about to arrive, we love to have a ‘soup nite’ once a week. I usually knock up a lovely 3 Flour Rustic Loaf using my TM5 and whatever soup fits the contents of our larder fridge. 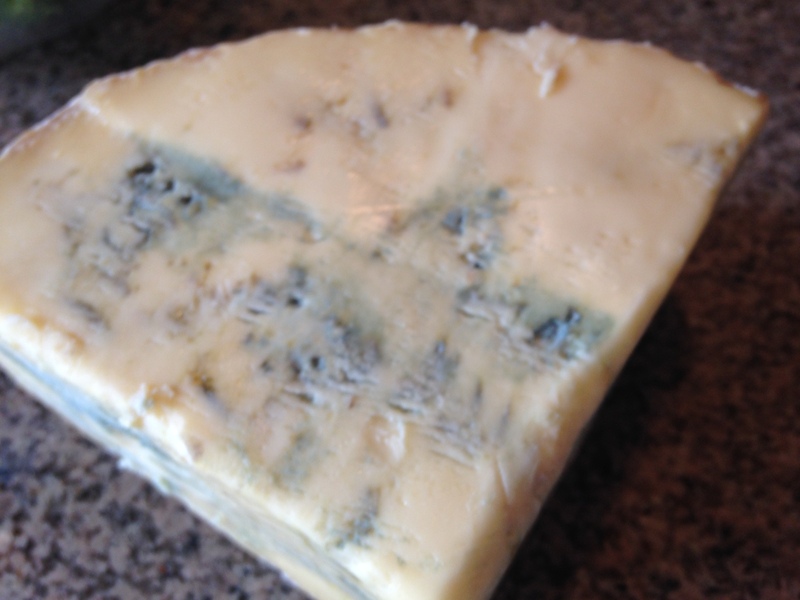 We did actually get given a lot of cheese for Christmas 2015 and needless to say there was a rather large chunk of the ubiquitous Marks & Sparks Mature Blue Stilton lurking in the wine fridge in the garage (don’t ask!). Lo and behold, I also discovered a healthy looking head of broccoli in the kitchen fridge. Funny isn’t it, how these days the marketeers, previous ‘en vogue’ use of the term Calabrese (the Italian word for sprouting broccoli), seems to have been assigned to the organic waste bin. So, I thought I would share my latest TM5 soup creation with you. Add the rapeseed oil, shallots and garlic to your TM bowl – 5 secs / speed 5, scape down with a silicone spatula. Sweat the onions and garlic for 5 minutes / 100oC / speed 1. Add the celery, leek, potato and butter and sweat for a further 5 minutes / 100oC / speed 1. Add your prepared stock and the diced broccoli stalks. Cook for a further 15 minutes / 100oC / reverse speed 1 until the stalks are soft. 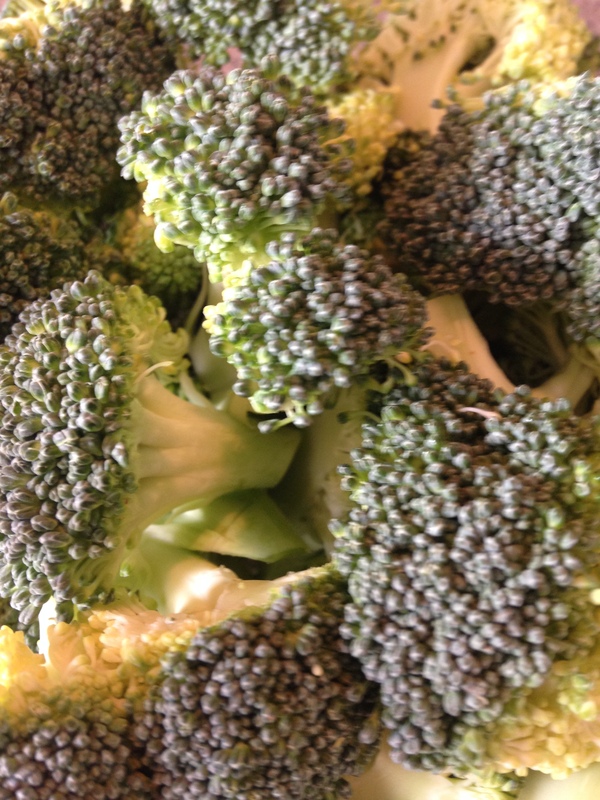 Add the prepared broccoli florets and cook for a further 5 minutes / 100oC / reverse speed 1. Add the prepared Stilton and blend for 30 seconds / speed 8. Taste and season to your liking. I like to garnish with a small quenelle of Crème fraîche, a little drizzle of home made chilli oil and a sprinkle of finely chopped chives. You could also reserve a broccoli floret and cut it into mini-florets and mix together gently with some finely crumbled Stilton and sprinkle over the top of the finished dish. 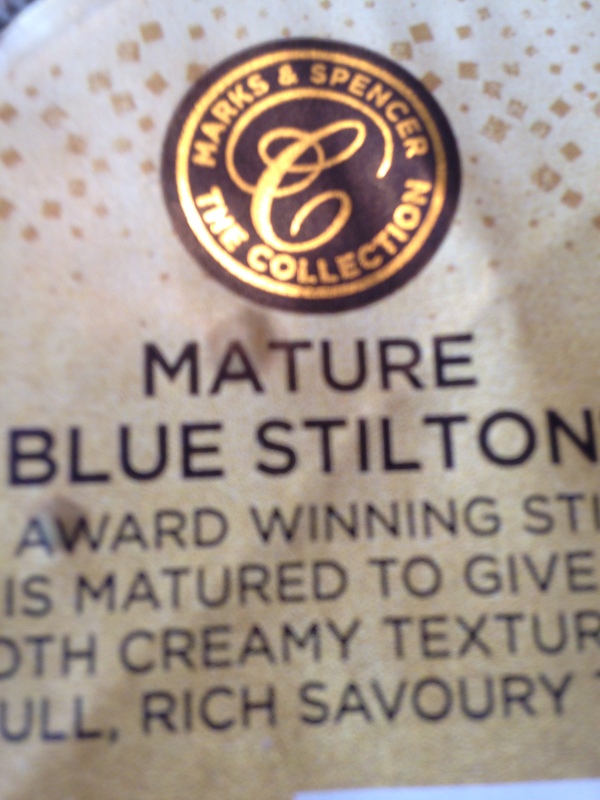 The amount of salt you add will be dependent on the ‘saltiness’ of the Stilton.